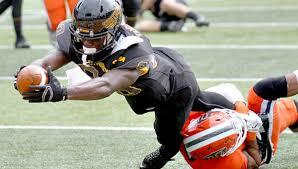 The Other Mike Thomas (Southern Mississippi), what’s the fuss? 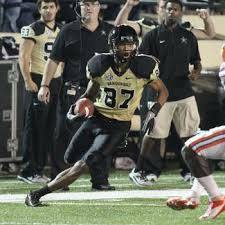 Comments Off on The Other Mike Thomas (Southern Mississippi), what’s the fuss? The league has four first time dynasty owners and the rest of the league owners have three plus years of dynasty experience, but once the picks start flying all that is out the window. Return yardage counts the same as rushing or receiving .1 points per yard, backs get .5 points per reception (PPR), wide receivers get 1 PPR, tight ends get 1.5 PPR, and all touchdowns are worth six points other than passing touchdowns (only worth five). Let’s take a look at the six rookie draft rounds to see where you can find good values and not so good values, but keep in mind you can flex a quarterback (15 of them were in the top 25 scorers in 2013). Re-print of my Senior Bowl articles, I hope these will help you during your rookie drafts. 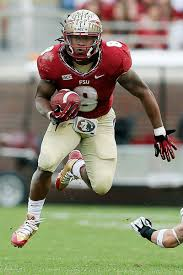 The running back runs well behind his pads and can be a very effective power rusher and receiver. He was a volume back in college so he tends to start slowly and work himself into the game. This might be an issue as I’m not sure if there is an NFL that would be willing to start him right away. Andrews might not be worth more than a fantasy flier. The athletic linebacker was everywhere in the game. 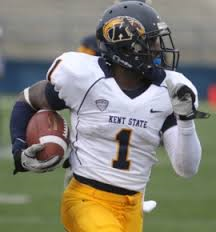 He covers potential receivers tightly out of the backfield and is a very hard hitter. For a stretch of two quarters it seemed like he was a part of every single tackle as he is always around the ball. His size means nothing to me as Borland can flow to the ball, disengage blockers and hit. If you are in tackle heavy leagues, he might be a LB2 this season! This is a reprint of the fourth of a six part Senior Bowl series I did in January. Hopefully this will be helpful as you are going thru your rookie and dynasty drafts. As I am told, this will be the final day that the media can view practices. The players are back to shells and helmets mostly running plays at half speed. Because there is not a lot more to gleam here, I will spend the majority of my time in this article reviewing and ranking these offensive players by their position. Carr is the most polished the quarterbacks. He has good footwork, throws balanced, and got more comfortable hitting his receivers in stride as the week went along. The signal caller has the necessary arm strength to make all the throws and plays like a leader out there. He did nothing here to hurt himself and is probably going to be selected in the first round of the NFL Draft. For us dynasty owners, I would not consider him until the late second or early third in fantasy rookie drafts. Wow what a two week whirlwind, first the young quarterback had to learn a new system for the Shrine Game and was a replacement option for Alabama’s own AJ McCarron. Garoppolo is not a terrific athlete, but he steps up in the pocket and throws accurately. 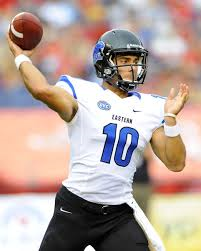 He gets better every day and should make a good developmental NFL and fantasy quarterback. It was clear from the first practice on that Boyd got a lot of help from the talented skill players he got the chance to play with at Clemson. He has a strong enough arm and good pocket awareness, but prefers to throw shorter passes. Many people consider him as a Russell Wilson-lite. I am not as convinced, but he is worth picking up for depth in dynasty leagues. Sims was the most complete running back here in Mobile. He has quick feet, good vision, and reads blocks well getting small in the hole. The back looked fine in pass blocking drills and catches the ball cleanly. Sims has a little wiggle to his game and was the most explosive back by far. Depending on where he goes, Sims might be a late first round rookie draft back. He is a more north and south runner than Sims, but has even better hands. Fluellen reminds me a bit of Chicago Bears running back Michael Bush as he is a bigger back who tries to run like a smaller guy. The back fights for extra yardage and has a burst once he clears the line of scrimmage. I would be looking to add him to my dynasty squad in the middle to late second round of rookie drafts. If you like Bobby Rainey, this back is even better than he is. Andrews has good vision, steps up to take on pass rushers and does not give up on the block. He is quicker than fast, has loose hips, and catches the ball well. 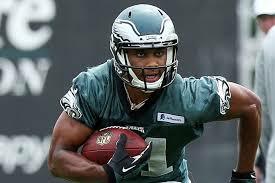 Owners that draft him will need to be patient as he might start as an RB4/returner to start his NFL carrier. I’m not sure he is draftable in leagues that have rosters of under 25 players. Matthews is the best skill player at this game, by far, but hasn’t always played up to expectations. He has exceptional quickness getting in an out of breaks, tracks the ball well in the air, and can contort to make difficult catches. The receiver can be disrupted by physical corners that spend a little time in his head. Matthews gets to the ball at its highest point and can make defenders miss him in the open field. He catches the ball cleanly, usually in stride. 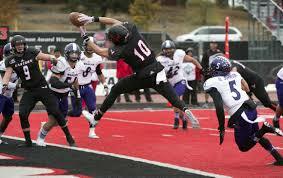 The wide out has good size at 6′ 2″ 209 lbs., but is not a huge receiver so he may slide down both NFL and dynasty rookie drafts into the late first or early second round. He was the most technically sound receiver here, bar none. The only time he didn’t catch the ball cleanly was on an onside kickoff drill. Abbrederis is not the biggest guy here, nor is he the fastest, but he was magic finding open space and getting to the ball. He makes plays in traffic with guys hung all over him. I think he will be a better slot receiver, but he can play outside. 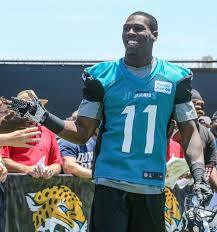 With all the talent at wide receiver, Abbrederis should have huge value in the second round of your rookie drafts. He did suffer a knee injury and should be considered as questionable for the game on Saturday. The powerfully built wide out got better every single day. He started off the practices slowly, but adjusted his technique and concentration to be pushing Abbrederis as the second best receiver in Mobile. Herron has the foot speed and jukes to get a clean release off the line, regardless if he lines up in the slot or outside. The receiver can start and stop on a dime while needing zero time to blast past defenders at full speed. He catches everything with his hands in stride and finds a way to come down with contested passes. His size at 5′ 8″ 193 lbs. 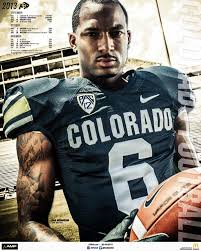 isn’t ideal, but he could be a great WR2 in a pass happy offense. He had a long touchdown catch in the back of the end zone early in today’s practice. Herron needs to be scooped up in the second round of your rookie drafts. I don’t know what it is, but there is something pretty awesome about sitting in a room with hundreds of the best football minds this country has to offer. Looking around and seeing general managers, head coaches, offensive and defensive coordinators, really made me feel lucky to be a part of the Senior Bowl. My adventure started the day before when I got on my third and final flight of the night from Chicago and as it turned out, I was on the plane with the majority of the Bears coaching staff on their way to Mobile. Since most of us are in the middle of rookie drafts or we have just completed them, I wanted to write a weekly article about the trends that are occurring on myfantasyleague.com fantasy football rookie drafts. This will be a three-part series, because most leagues complete their rookie drafts before those long summer days that get filled with vacations, outside chores and activities. As always, my thoughts get based on dynasty PPR leagues with sacks being worth 2.5 times that a tackle is worth. The excitement generated by the draft weekend has come and gone. Now is the time to put in the hard work as your rookie fantasy drafts are upon us. My dynasty fantasy rankings get based on a three to four-year window, not their immediate impact. Talent and situation gets considered here. This is where the meat and potatoes of the rookie draft values are this year, so get a few helpings of fantasy goodness with this position.